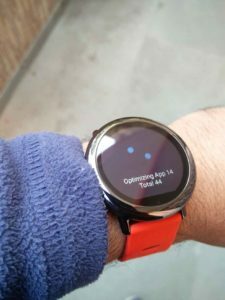 Xiaomi Amazfit pace is getting better and better with regular updates. 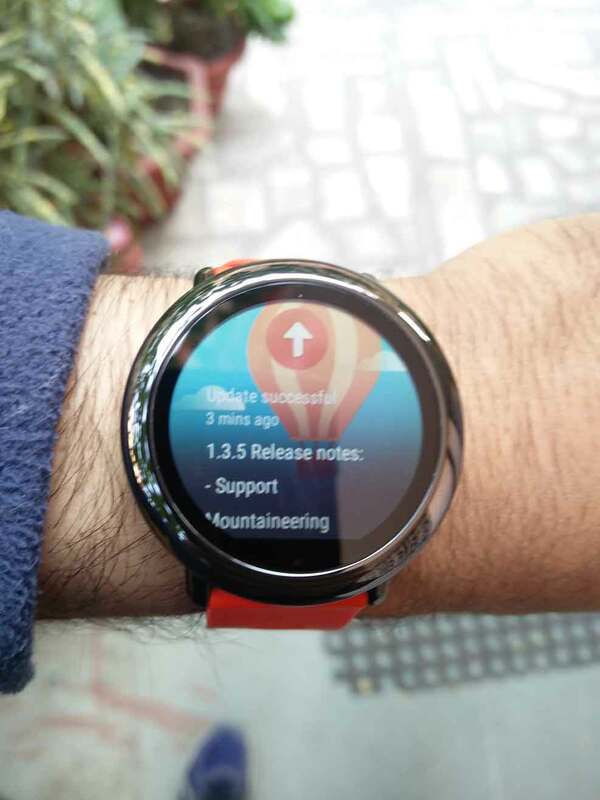 Today on november 29, Amazfit pace has been updated to version 1.3.5 which includes mountaineering activity tracking. 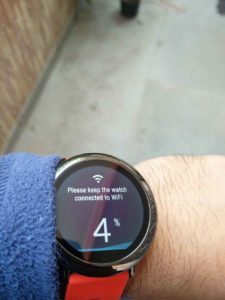 If you have already owned a smartwatch you might know how painful it is to keep its battery full every day. 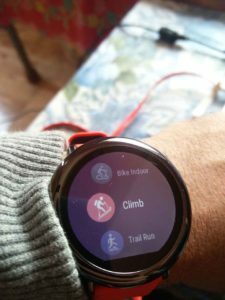 But i am using amaz fit pace for more than 6 months and with average activities it can last 4 days very easily. 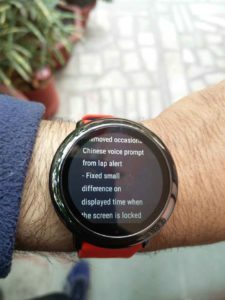 According to the logs Xiaomi has fixed some battery related bugs in this new update and after using it for 2 – 3 hrs it feels like interface has got smoother. Hats off to xiaomi for listening to its customers and providing continuous updates. 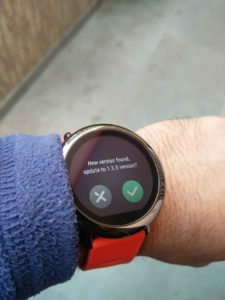 Only thing that’s absent in this update is the support for voice recording. 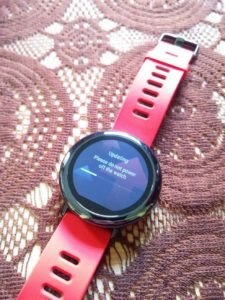 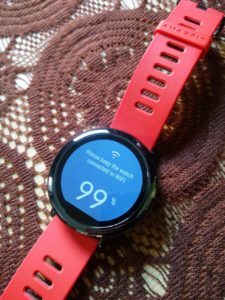 Amazfit hardware supports voice recording and we got lots of proof regarding that. 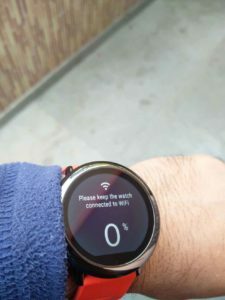 Surely we will get this feature in upcoming months or so. 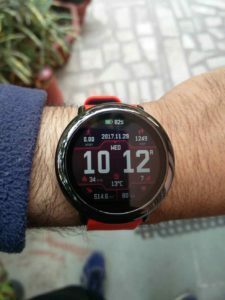 but till now i dont think that there is any competition for the watch in its price range. 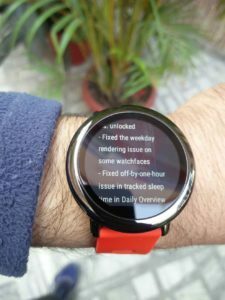 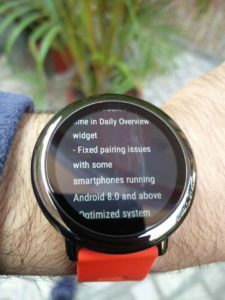 Here are the features that has been added in this new version 1.3.5 update for Amazfit Pace English version. 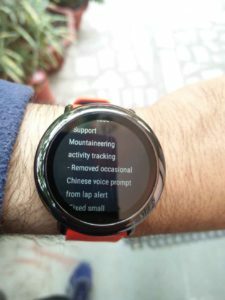 Removed occasional chinese voice prompt from lap alert. 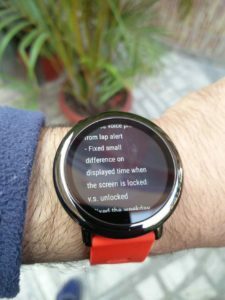 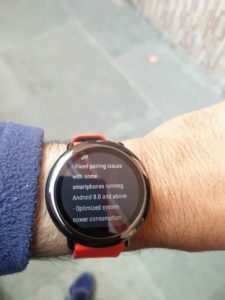 Here are some Pics of the watch running updates and added features.